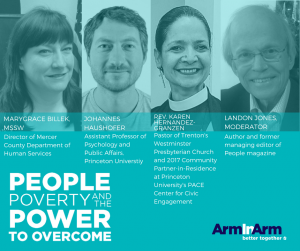 Arm In Arm’s People, Power, and the Power to Overcome featured an outstanding panel of speakers, including the Rev. Karen Hernandez-Granzen. During her remarks, Karen shared a brief excerpt from The Uncomfortable Truth, the recent report on race and poverty by the Anti-Poverty Network of New Jersey. 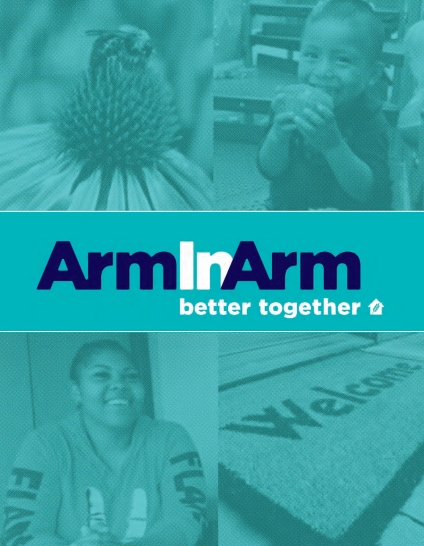 “The report covers in detail the way that structural racism impacts people of color in housing, access to economic opportunity, the criminal justice system, legal and civil protections, health care, and access to adequate nutrition. With each chapter on these topics, there are a number of policy recommendations for how our state can move forward to ending structural racism. On September 19th the Anti-Poverty Network of New Jersey released The Uncomfortable Truth, a groundbreaking, timely, and bold new research report that looks at the ways that structural racism perpetuates poverty in New Jersey, along with recommendations for how our state can move toward the end of structural racism. This report is the culmination of a multi-year collective process with policy experts and advocates from across New Jersey. In the coming year, APN will be hosting forums to discuss the policy issues and recommendations contained in the report to move toward the end of structural racism in our state. Please check our “Events” tab and join as an APN member to receive updates on those events and the work ahead.